A “Strike Steel” ceremony was held by the Malampaya Joint Venture Partners to commemorate the start of construction of the substructure and topside modules of the Depletion Compression Platform (DCP) at the Keppel Subic Shipyard in Subic, Zambales. The event signifies the construction stage of Malampaya Phase 3 (MP3), the next phase of development of the pioneering Malampaya Deep Water Gas-to-Power Project. A joint undertaking between the Philippine national government and the private sector, the technologically innovative Malampaya Deep Water Gas-to-Power Project is spearheaded by the Philippine Department of Energy, and developed and operated by Shell Philippines Exploration BV on behalf of Joint Venture Partners Chevron Malampaya LLC and the Philippine National Oil Company-Exploration Corporation (PNOC-EC) under Service Contract No. 38 (SC 38). Guests of honor during the event were Atty. Josefina Patricia M. Asirit, DOE Undersecretary; Zambales Representative Mitos Magsaysay; ZambalesVice-Governor Ramon Lacbain II; Olongapo Mayor James Gordon; and Singapore Ambassador VP Hirubalan. They were given a tour of the fabrication yard extension and dry dock. The guests also met the representatives of the Malampaya Foundation, Inc. program, Bridging Employment through Skills Training (BEST). These individuals hail from different parts of the province of Palawan and are being trained in welding at Keppel Subic Training Center. 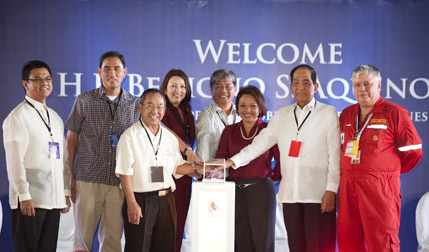 The event highlight was the traditional “Strike Steel” ceremony, with the guests of honor and representatives of the Malampaya Joint Venture partners activating a computer numerical cutting (CNC) machine that cut the symbolic first sheet of metal of the MP3 Depletion Compression Platform, the first to be fully built in the Philippines. 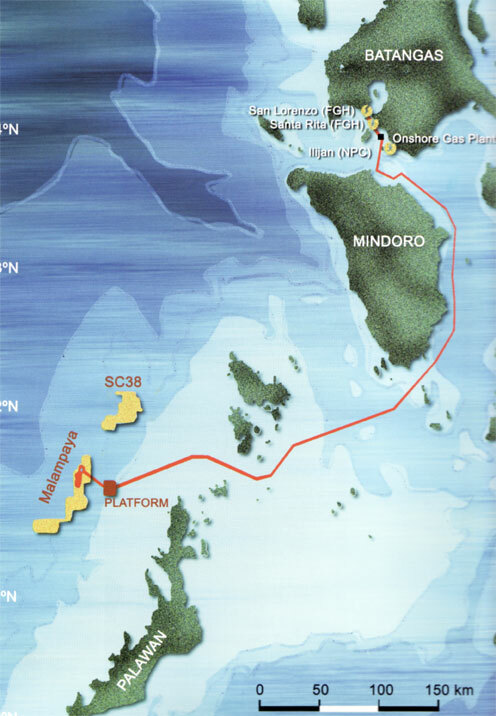 The Malampaya Project is one of the largest and most significant industrial endeavors in Philippine history, heralding the birth of the natural gas industry in the country. Natural gas from Malampaya fuels three power stations with a combined capacity of 2,700 megawatts to meet 40-45% of Luzon’s power generation requirements, reduce oil imports, and provide a stable supply of energy and a cleaner source of power. Malampaya Phase 3, together with Phase 2, aims to maintain the level of gas production to fulfill commitments under existing gas sales agreements, thus ensuring the steady supply of natural gas to power the Luzon electricity grid. This Project at the Keppel Subic Shipyardwill increase the number of local employment, bring technical expertise into the country, and build up Keppel Subic Shipyard for future complex fabrication projects here and abroad for the oil and gas industry. Natural gas is considered the fuel for sustainable growth and development, helping to meet the world’s future energy needs as the cleanest-burning fossil fuel with a globally abundant and diverse supply. The Malampaya Phase 3 Strike Steel ceremony is a fitting event in celebration of National Energy Consciousness Month, led by the Department of Energy.